Paul Dano | No Chic. Just Geek. I am increasingly aware that I am, in many important ways, a man out of time – not to the extent of wearing double-breasted pyjamas or being hailed as a possible future Tory Prime Minister, but I’m fully aware that many of my views are, well, rather old-fashioned. One of these is that the best place for watching a new film is the cinema. This may just be dyed-in-the-wool traditionalism, or possibly simply the fact that going to the pictures a couple of times a week often makes up most of my social life (there are other people there, after all, even if I don’t speak to them or actually know their names). Nevertheless, the world moves on, and new films are starting to show up in places you might not have expected a few years ago. Investing heavily in films, along with much else, is a video streaming site which is not paying me for advertising and so which I will not name. (Suffice to say it rhymes with Get Clicks.) One thing you can say about these guys is that they do not skimp when it comes to things like actors or production values: they show every sign of making proper big movies which would be quite at home getting a (proper) traditional theatrical release. 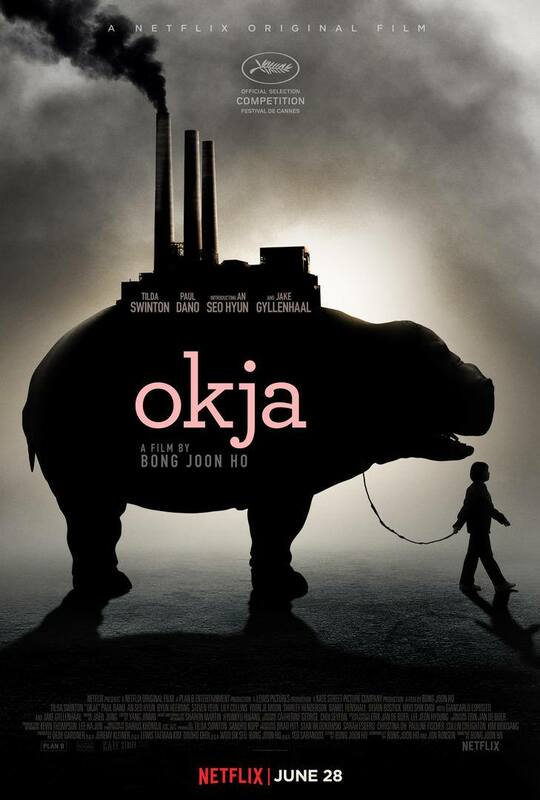 For example, let us consider Okja, directed by Bong Joon Ho, a movie which appeared on the site in question. There are some extremely odd things about this film and the manner in which it has been presented, but it is no more extravagantly weird than many other films which I’ve seen recently. Tilda Swinton plays Lucy Mirando, newly-installed boss of a major corporation, who as the film starts reveals her plan to start a ten-year programme of raising a litter of unusual ‘super pigs’ in different locations around the world. The new breed of pig offers hope of an end to the problem of global food shortages forever! Hmm, well. Ten years pass and we meet Mija (An Seo Hyun), a young girl living in the remote mountains of South Korea with her lazy and skinflint grandfather – and Okja, one of the Mirando super pigs they have been entrusted with. Okja is an impressive beast, having grown from cute piglethood into something resembling an endearing hybrid of a particularly big hippo and Lockjaw from The Inhumans. Needless to say, Mija and Okja have a very strong bond, and as they have purchased Okja from the corporation, their rustic idyll can continue forever. Now – and I hope I’m not breaking any confidences here – my sister has a thing about pigs. Hmm, perhaps that didn’t come across quite the way it was intended to. I should clarify things and stress that she is just inordinately fond of our porcine friends. No, that’s not quite right either – well, look, she’s a pig person, all right, just not in any peculiar or unwholesome way. And so it occurred to me that I might end up recommending Okja as a film she would want to watch, perhaps with her kids. Certainly, the opening set-up has that slightly grotesque and outlandish quality of a Roald Dahl story, and the first movement of the story feels intentionally ‘classic’ in its elements and tone. 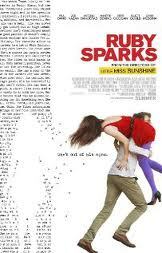 But I will not be suggesting Sister-of-Awix check this movie out, and especially not with her children around. This is indeed a film about a young girl’s quest to recover her giant, slightly magical pig, with a somewhat fantastical tone. But it is a fantastical film about a young girl and her giant magical pig with a monumental F-bomb count, some startlingly brutal violence, and also a no-holds-barred visit to an abattoir at one point. It’s all a bit more Tom-Yum-Goong than it is a Disney film. General consensus seems to be that Get Clicks have dropped the ball when it comes to its handling of Okja, not least because it is still listed on its UK site as a ‘G’. This in itself is slightly confusing, as it’s not a standard British certification – I assumed it stood for ‘General’, but apparently it means ‘Guidance recommended’. The BBFC, by the way, appear to have given Okja a 15 certificate, which seems to me to be entirely appropriate. But you can’t really blame Get Clicks, except in the most general way, for the fact that Okja is utterly bizarre in its tone – this is definitely not a children’s film. But it has the same kind of subject matter as a children’s film, and is largely made in the style of one. So, what exactly is going on here? I fear the worst, readers, specifically that this film has been made to appeal to the dreaded Ironic Sensibility. Many of the English-language scenes not concerning Mija and Okja have a very knowing, tongue-in-cheek quality, which after a while set my teeth to aching. The film seems to be inciting at least part of its audience to be complicit in its own weirdness, while assuring them that it is absolutely sound in terms of its politics and morality and so on. I know I am on the thinnest of thin ice here, but I have a very low tolerance for the whole phenomenon where adults sit down and have earnest conversations about (for example) the admirably progressive gender politics of a cartoon about talking kittens. It seems to me to represent a retreat from maturity and actual engagement with the serious issues of life – except where serious issues are handled only in the most simplistic way. The looming threat of right-on smugness is a constant danger. So I found it with much of Okja. This is, obviously, a film with a message to deliver about animal rights and the practices of the food industry – you could quite probably label it as a piece of pro-vegetarian propaganda, to be honest. Fair enough – there are arguments to be made here. But the style of Okja means its sheer sentimentality grates with the graphic nature of many of its scenes. This is a shamelessly, brazenly manipulative film, so much so that it actually becomes irritating rather than affecting. My first instinct after it finished was to go and have a sausage baguette, just on principle. This is not to say that there is not much to enjoy in Okja – the staging of the early scenes with Mija and Okja in the forest is honestly magical, and the depiction of Okja is genuinely stunning – CGI never ceases to improve, of course, but I have absolutely no clue how some of the shots in this movie were achieved. Then again, the film is almost wholly about Okja (hence the name), so I suppose getting the CGI right was a priority. There are also a raft of good performances from people like Swinton, Gyllenhaal, Shirley Henderson, and Paul Dano (who appears as an animal rights activist). In the end, though, I couldn’t help thinking that Okja is only a few more script drafts away from being a really great children’s film – Babe, quite literally on steroids. But as it stands, there’s too much profanity and darkness in this film for it to be suitable for normal kids, while at the same time it’s too childish and eccentric to function as a piece of entertainment for mature audiences. Definite talent at work here, but in a very undisciplined way. By some quirk of programming (or counterprogramming), UK cinemas are currently hosting two musical bio-pics pretty much guaranteed to leave the sympathetic viewer leaving the cinema making the same observations (and I should know, for I heard someone doing so this week): ‘what an enormous talent… awful how everyone around them exploited them so terribly… of course, all the drugs didn’t help…’ One of these films is Asif Kapadia’s Amy, which is pretty much a straight documentary, while going down the based-on-a-true-story route is Bill Pohlad’s Love & Mercy, about the life of Brian Wilson. Younger readers can probably be forgiven for not being entirely sure who Brian Wilson is, I suppose, for all that they’ve probably grown up listening to his music, along with everyone else under the age of 50. Wilson is most celebrated as the creative force behind the Californian rock group the Beach Boys, overseeing the production of many of their most famous records: I Get Around, California Girls, Surfin’ USA, and many more. Alongside the story of ceaseless invention and boundless talent, however, is one of deep psychological problems and personal turmoil, with the effects of a troubled upbringing only exacerbated by a prodigious pharmaceutical intake and exploitation by some fairly unsavoury individuals. Wow, it does sound like the Amy Winehouse story, doesn’t it? Perhaps it’s better to say that this is one of those tragedies which endlessly replays itself in new settings and with new characters. At least this particular iteration has (spoiler alert) a happier ending than many. The film focuses on two periods of Wilson’s life, and Pohlad has taken the fairly bold step of casting two different (and, it must be said, quite physically dissimilar) actors as Wilson. The younger Brian of the 1960s is portrayed by Paul Dano. This element of the film opens with Wilson retiring from touring with the rest of the band and going into the studio to work on ideas for the album that would eventually become Pet Sounds (now generally accepted as his magnum opus). 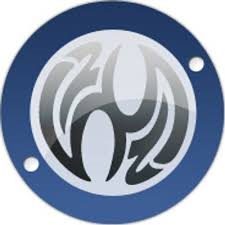 His interest in pursuing his own creative ideas leads to tension with the rest of the group, however, and being introduced to LSD does not help his mental state much, either. The other section of the film picks up the story over twenty years later (dates are not given on-screen, but apparently the later section occurred in the late 1980s and early 1990s). Elizabeth Banks (one of those actors it seems I’ve been watching in different things for years without it ever actually registering) plays Melinda Leadbetter, a car saleswoman who encounters a troubled and fragile older Brian Wilson (John Cusack). The two hit it off, but she quickly comes to realise that Brian is now firmly in the grip of his psychiatrist/manager, Gene Landy (Paul Giamatti), who insists on controlling every aspect of his life. Even as she realises the depth of her feelings for him, she is forced to ask herself whether she is motivated by a genuine desire to help, or if she’s just another person who wants to take something from him? 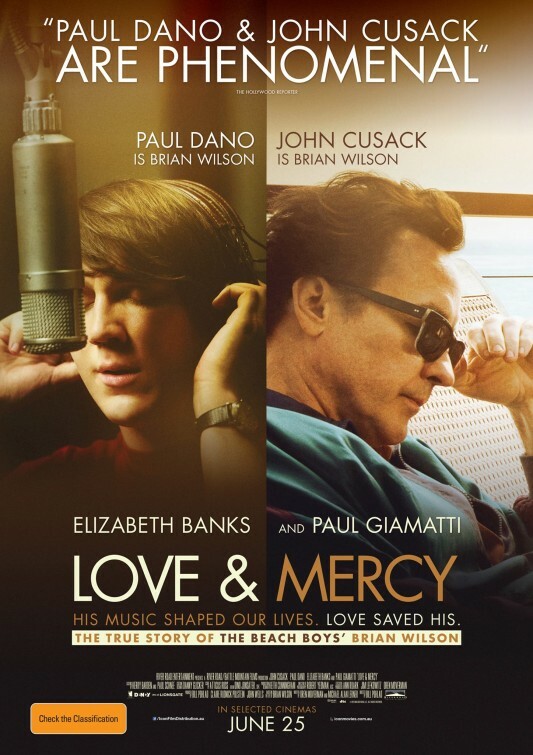 Dano and Cusack are billed as Brian-Past and Brian-Future respectively, which sounds odd until you learn that early versions of the script featured a third Brian from the 1970s: the period in which Wilson famously once spent several years without really getting out of bed (apparently Philip Seymour Hoffman was at once point considered for Brian-Present). I’m not entirely surprised this segment was dropped, and what I suppose we must call Wilson’s most troubled years remain the dark heart of the film, never really explored, but always lying ahead of his younger self and overshadowing his latterday life. Pohlad does a good job of making a cohesive film out of a narrative which thus has a hole in the middle of it to some extent, and more than that is made up of two quite different stories. The 1960s stuff with Dano is reasonably standard musical-hero bio-pic material – darker elements of their background are tastefully touched upon (in this case, Wilson’s abusive relationship with his father, whose credentials as a hostile figure are established when he opines that the lyrics to God Only Knows sound ‘more like a suicide note than a love song’), the creation of a revered classic is dwelt upon in some detail, and there’s the slightly clunky device where a supporting character goes out of their way to tell said musical hero just how innovative and brilliant they are. But Dano’s performance is customarily good and it did make me want to go and find out more about Wilson and the Beach Boys. The 80s and 90s material is a rather different kettle of fish. John Cusack is, well, John Cusack, so you know you’re not going to see something awful, but I found his performance to be just a little bit mannered: and Dano is so effortlessly convincing as the younger Wilson that it’s Cusack you feel inclined to criticise when the two performances don’t quite join up to form a seamless whole. He’s not even playing the lead role, though, as this is much more the story of Melinda Leadbetter and her relationship with Wilson – the film shies away from using someone with such pronounced mental problems as a viewpoint character. Nevertheless, Banks is very good, and Paul Giamatti is not afraid to be horrible as Gene Landy (again like the Winehouse movie, I bet there were pre-screenings of this film attended by battallions of lawyers scrutinising it for actionable material). And, above all, there is something genuinely affecting about this story and the redemptive effect that Leadbetter had on Wilson: spoilers again, but the two have been married for twenty years, and while the Brian Wilson who occasionally pops up on tour sometimes seems like a slightly detached and awkward figure, he still seems to be in much better shape than he would have been without Leadbetter’s intervention in his life. So this is a story that deserves to be told – celebrated, in fact. Love & Mercy veers between the experimental and the routine too often to be a genuinely great movie, but it’s certainly not a bad one.